The Senate leader will push for action by Jan. 7 as millions face a benefits cutoff, including thousands of Mainers. WASHINGTON —The Senate’s top Democrat promised Thursday that the chamber would vote in early January on extending jobless benefits for the long-term unemployed. More than 1 million people nationwide are set to be abruptly cut off of federal unemployment benefits averaging less than $300 a week just three days after Christmas, including as many as 3,300 Maine residents. Another 1.9 million people would miss out on the benefits next year. 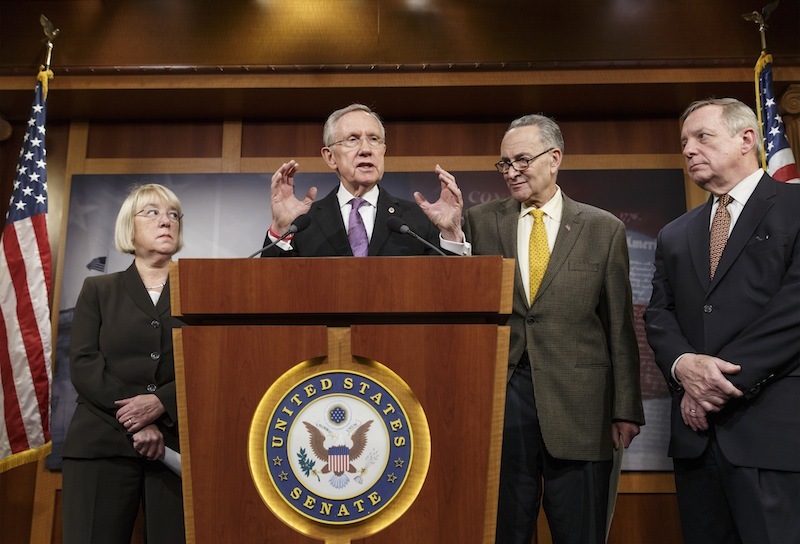 Majority Leader Harry Reid promised a vote no later than Jan. 7 on a measure to extend those benefits for three months. He said the number of jobless people out of work for more than six months is far greater than in past economic recoveries. House Speaker John Boehner, R-Ohio, has said he’s open to extending the benefits, but only if accompanied by spending cuts elsewhere in the budget to cover the cost. A one-year extension of federal jobless benefits, which generally go to people who have been out of work for more than six months, would cost $25 billion. Democrats note that former President George W. Bush signed an extension of jobless benefits into law in 2008, when the national unemployment rate was 5.6 percent. It’s now at 7 percent, according to the most recent report from the Labor Department. It will take at least five Republican votes to advance the bill. Reid already has one: Fellow Nevada Sen. Dean Heller is a co-sponsor.